'Love Nest' Domes offer a truly unique lodging experience and the perfect mixture of luxury and nature. 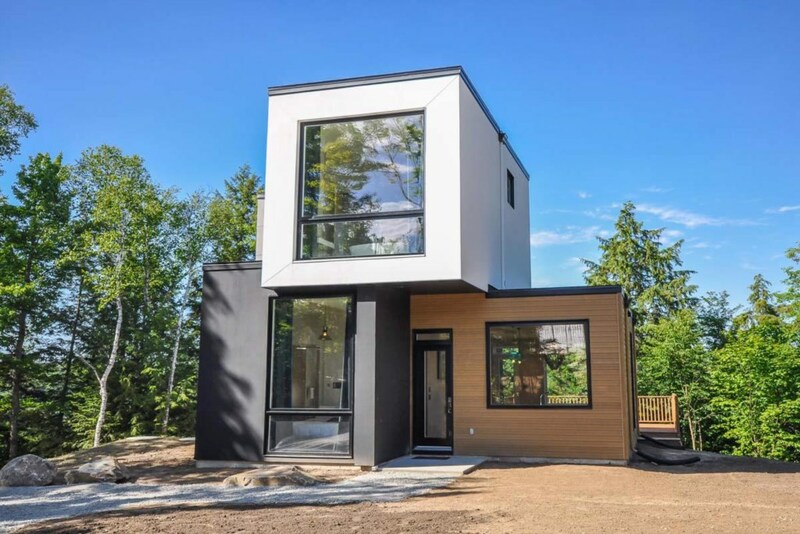 This new modern miniloft is surrounded by nature and features 2 bedrooms with ensuite bathrooms. It’s just a minute’s walk from the clubhouse. Enjoy a modern lodging experience in the heart of nature in this new 2 bedroom chalet just a minute’s drive from the Bel Air clubhouse. This spacious chalet has 2 master bedrooms with king-size beds and ensuite bathrooms. The Aspen chalet is located directly across from the clubhouse. The Vail chalet has 2 master bedrooms located at opposite ends of the home providing maximum privacy for guests. Nature enthusiasts will love the Stowe miniloft which located in a quiet enclave and surrounded by nature. The Stowe 2 miniloft is fully equipped with everything you will need during your stay with us. The Stowe 3 is surrounded by a magnificent landscape in a peaceful hideaway just 5 minutes from the Resort Village. The Stowe 4 Miniloft is located across the street from the entrance to Bel Air Resort & Residences. This is a fantastic 2-story chalet has 3 bedrooms and a nice oversized terrace that overlooks the mountain.. 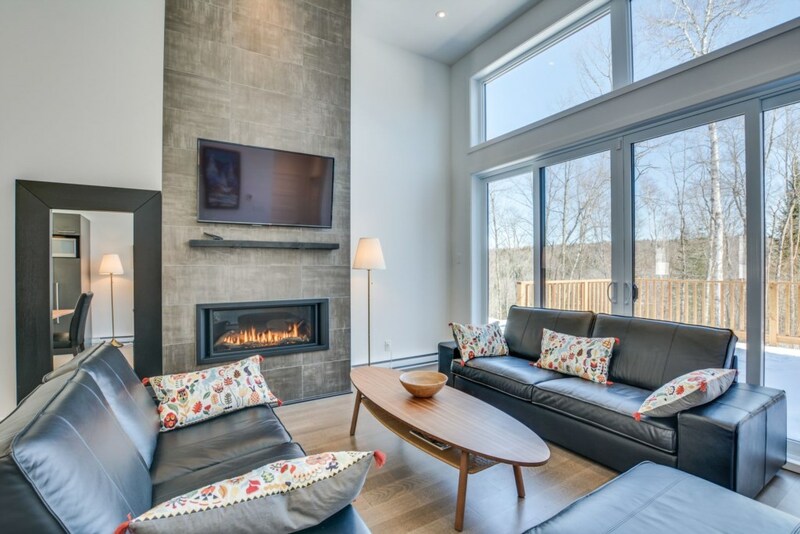 Le Valais is brand new, 2,300 sf² modern mountain home with 3 bedrooms, 3 full en-suite bathrooms and spectacularviews of from every romm in the house! 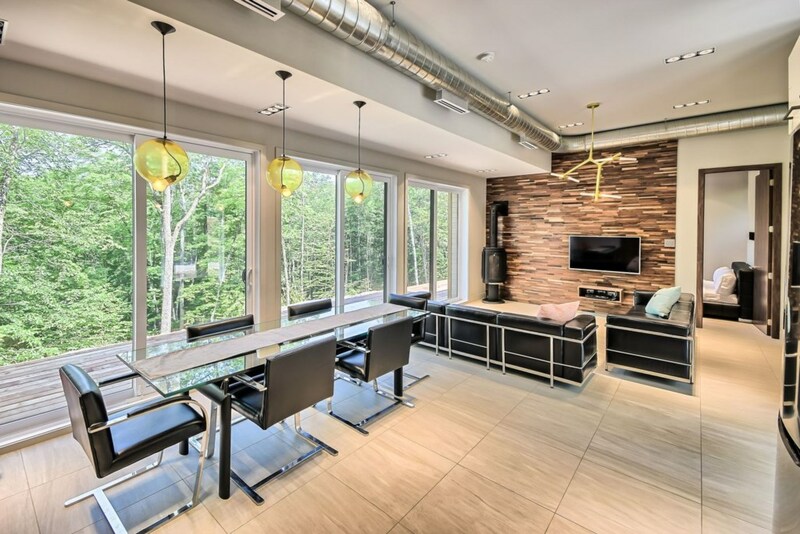 Surround yourself in nature while enjoying the luxurious comforts of this beautiful & modern 4 bedroom chalet at Bel Air Tremblant. The Meribel chalet rental is 1,313 sf² with 4 bedrooms, 3 bathrooms and sleeps 10 people!